Tom Jenkins Barbeque » Don’t know much ’bout history? We’ll help! Home / Don’t know much ’bout history? We’ll help! 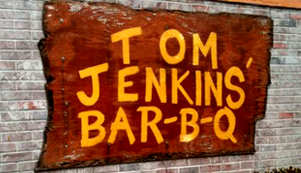 Tom Jenkins BBQ Restaurant and Sauce was founded by two friends, Harry Harrell and Gary Torrence. Both men’s passion for cooking led to the creation of Tom Jenkins BBQ Sauce. They knew they had a hit when family members and friends raved about its great taste and always requested that they bring it to the gatherings. In 1990, Tom Jenkins BBQ Sauce was introduced to the public via a roadside food trailer. The weekend trailer operation lasted seven years essay writer which resulted in them building a loyal customer base. 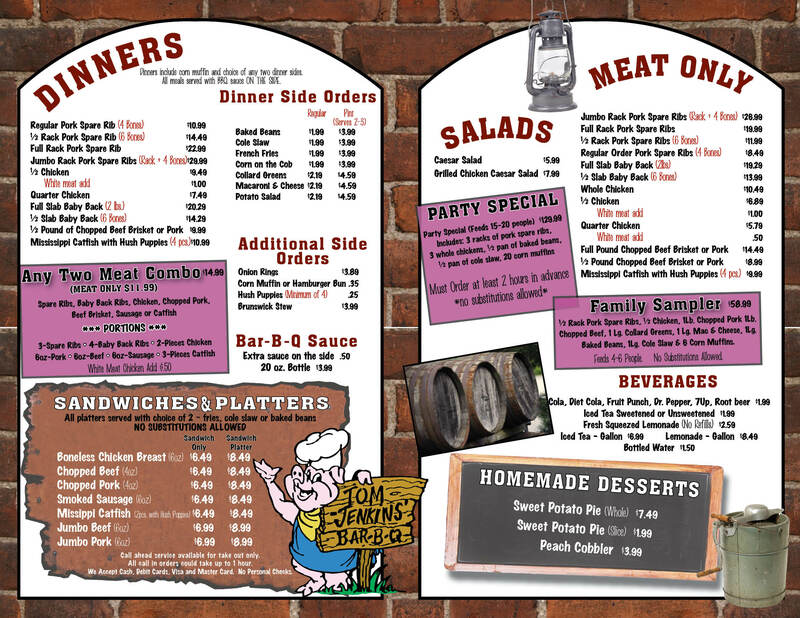 A building across the street from their trailer became available, and in 1996, Harry and Gary opened Tom Jenkins BBQ Restaurant. The restaurant has “Mom and Pop” comfort and features home cooked southern dishes such as BBQ ribs, collard greens and macaroni and cheese. Since its opening, it has become a staple in the community and is a favorite spot to get great tasting home cooking. A TASTE You’ll Never Forget.